Before an interview with "Pay Czar" Kenneth Feinberg, the administration announced that Fox News would be banned from the press pool. This marks the first time in history that an administration had attempted to ban an entire network from the press pool. To their credit, the other networks objected. 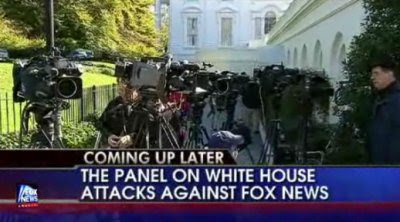 They told the White House that if Fox were banned, none of the other networks would participate. The White House relented, but in an apparent act of petulant retaliation, it restricted each network to a two-minute interview instead of the standard five. Interestingly, this behavior completely contradicts an opinion rendered Tuesday by White House spokesman Robert Gibbs when questioned by ABC's Jake Tapper. White House Press Secretary Robert Gibbs: We render opinion based on some their coverage and the fairness of that coverage. Tapper: That's a pretty sweeping declaration that they're not a news organization. How are they different from, say another, say ABC, MSNBC, Univision? Gibbs: You and I should watch sometime around 9 o'clock tonight or five this afternoon. Tapper: I'm not talking about their opinion programs. Or issues you have with certain reports. I'm talking about saying that thousands of individuals who work for a media organization do not work for a news organization. Why is that appropriate for the White House to say? Gibbs: That is our opinion. Carol E. Lee, Politico: Does that mean the White House doesn't believe they should be part of the press pool? Gibbs: I'm not going to delineate for the White House Correspondents Association how the pool is conducted. That's not my job. So the administration contradicted itself within 48 hours. That's about twice as long as normal. Perhaps the White House will next try to pull Fox News' press pass. That would be entirely consistent with the Hugo Chavez-style of government that President Axelrod and his advisers are trying to install. I'm patiently waiting for the ACLU to stand up for freedom of the press and complain to President Obama about quashing Fox's First Amendment rights. Update: Dan Riehl: "For the first time in my life I'm actually uncomfortable knowing that this guy has control of our military and Federal police forces. If he thinks he can simply shut down a member of the press on a whim, how long before he goes full Chavez?" Update II: Hope for America has the video report. Update III: Memeorandum, American Thinker, Jules Crittenden, Le·gal In·sur·rec· tion, Washington Monthly, Pundit & Pundette and Sister Toldjah link. Thanks! I know this won't get through moderation, but just thought I'd ask if you're similarly outraged today? I find it disheartening that while there are so many people that are already tragically lost in terms of being out of touch with reality, that we now have entire agencies that dare make claim to report the news, yet in the end, only twist and contort facts to suit their own opinion. The problem exists in that people are actually following Fox's version of reality. 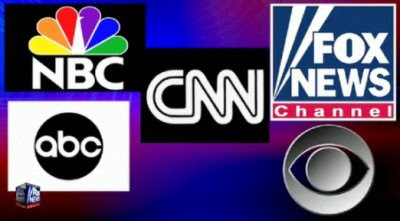 For the sake of humanity, Fox should really consider either getting out of the business altogether or to perhaps reinvent themselves as the "Alternative News Channel".